By Brian Hoey. Jun 16, 2015. 9:00 AM. Good satire functions by building outwards from a kernel of truth. The notion that what is inarguably one of the greatest works ever put to paper was a distasteful lark concocted by a love-struck Sylvia Beach may fly directly in the face of (the real) James Joyce’s assertion that scholars would puzzle over his book for a century, thereby earning him immortality. But it does serve to underscore the oft-neglected fact that Ulysses is a bizarre, often obscene work. It is equally well suited to being treated as something of a joke as it is to rigorous scholarly inquiry, a fact O’Nolan understood better than most. The satirist was hugely influenced by Joyce, but he maintained a hearty skepticism regarding Joyce’s literary deification. It is, perhaps, in this spirit that the up-and-coming author took part in the first ever Bloomsday in 1954. 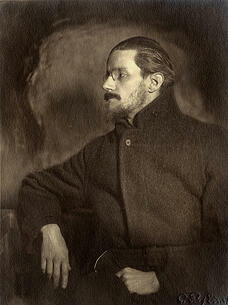 Bloomsday, for the uninitiated, is the annual June 16 celebration of all things Ulysses. The holiday takes its name from Ulysses’ protagonist Leopold Bloom, whose wanderings about Dublin on June 16, 1904 Joyce so painstakingly chronicled. Since most of the action of the novel takes place in real locations in a meticulously rendered Dublin, enthusiasts and devotees take it upon themselves each year to visit such Dublin locales as Davy Byrne’s Pub and Martello Tower. In recent years, the celebrations have expanded beyond retracing Bloom’s steps (which, at the face of it, comes to resemble a pub crawl) and beyond Dublin. Joyce-lovers from New York to Hungary stage dramatizations and readings of Joyce’s text (most of which take longer than the one-day span of the novel), feast on the sort of traditional Irish fare in which Bloom indulged, and gallivant about their cities in Edwardian costumes. One group of celebrants even endeavored to tweet the entirety of Ulysses over the course of the day. 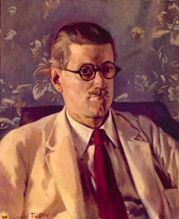 While Joyce’s letters mention readers celebrating Bloomsday as early as the 1920s, Brian O’Nolan’s 1954 turn about Dublin (which marked the 50th anniversary of the action of the novel, and, not coincidentally, the 50th anniversary of Joyce’s first date with his would-be wife, Nora Barnacle) is considered by many to be the first official Bloomsday celebration. The expedition, which included Joyce’s cousin Tom Joyce, writers Patrick Kavanagh and Anthony Cronin, and publisher and pub owner John Ryan, began at the Martello Tower (at which readers first meet “stately, plump” Buck Mulligan and Stephen Dedalus). O’Nolan, to the surprise of very few, was already drunk when the festivities began, and as a result was nearly kicked down the tower stairs by Kavanagh. Following the tower visit, the party commissioned two horse-drawn cabs, of the sort Bloom and company took to Paddy Dignam’s funeral. From there, the day took a decidedly boozy turn, with many in the party drinking so much that they felt compelled to relieve themselves in public à la Stephan Dedalus. By the time they reached John Ryan’s pub, The Bailey, they were drunk, exhausted, and unwilling to go on. Like so many readers who came before them, the group gave up on Bloom’s wanderings halfway through, opting instead for a few sedentary pints. If O’Nolan is to be believed, this is precisely the sort of irreverence that Joyce himself would have applauded.